Buyers want a home to be move in ready and sellers don’t want to fix anything, they just want to move. So, negotiating repairs can be stressful and sometimes deals fall apart over repairs. There are three things, about negotiating repairs, that I tell both buyers and sellers before we start any buying or selling of a home. The inspectors summary page (it has all the concerns with the house) is not a laundry list of repairs the seller has to complete. On the inspection report, focus on items that are structural, systems (electrical, plumbing), appliances, and anything dangerous. Do not focus on a missing electrical plate cover that you can buy at Home Depot for .50 cents. The sellers will have to complete repairs – It is mainly for the new homeowner to feel secure in the fact that the house is in good condition and they will not have to pay for any major expenses right away. Where problems happen is when the buyer wants the seller to fix everything on the inspection report and that can be time consuming and costly. When someone is buying a used home it will come with items that need to be repaired. There is always work on a house no matter what. 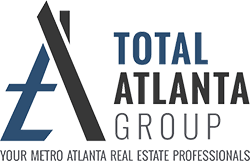 In the Georgia Purchase and sale contract there are two way to buy a house. These are just ideas. What I always recommend as a basic minimum a home buyer should do is complete a home inspection, drive the neighborhood, area, and to work at different times of the day and different days, and real all bylaws and covenants if there is an Home Owners Association. AS IS – buying the house without any conditions of repair or any knowledge of the house – I NEVER recommend this. 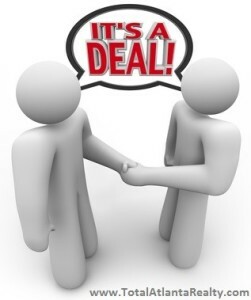 Once all the terms are agreed upon and signed by all parties, the contract becomes a legally binding agreement. This is when the home buyers due diligence will start. At that point, you will set up your home inspection. If you do not have a good home inspector ask you agent – make sure you are provided with three names that you can call an interview. 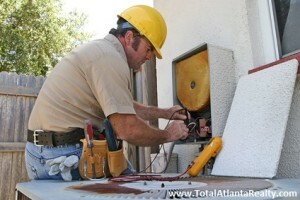 Your inspector should provide you with a detailed report. In this report you will have a detailed description of all aspects of the house, pictures of the areas with concerns, and a summary page of all concerns of the home. 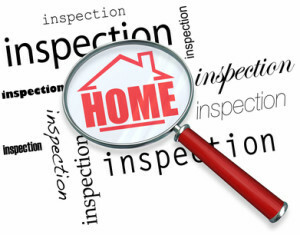 A home inspection generally costs anywhere between $300-$450. After you have received the inspection report, you will go though it with your agent. Your agent and you will discuss the different concerns and repairs that are on the inspection report. Once you have decided on all the repairs you would like the seller to fix, your agent will send out a Amendment to Address the Concerns of the Property. This form will list all the repairs that will need to be completed before closing. The seller will then review the repairs and they will have options on how to handle to repair request. They can agree to all repairs in the request – they hire a contractor to complete the work and provide receipts before closing. The seller can give a lump sum at closing to cover the cost of repairs – if this happens the money for repairs will be held in a trust account for the contractor that you choose to complete the repairs. The seller counters with only certain repairs. The sellers refuses to complete any repairs. There are all kinds of option – I had a client who countered a repair request with paying all the closing costs instead of having the seller complete repairs. So when addressing the repairs, you might have to be creative with the sellers when it comes to repairs. It is in the best interest of the seller to negotiate repairs because once a problem is known it will have to be put on the property disclosure in the future. This could make the home harder to sell depending on the repairs. Depending on the type of loan the lender might not lend unless certain repairs are fixed. An FHA loan has certain guidelines to make sure the house is up to FHA standards. An FHA appraiser will appraise the loan and if he/she sees anything that is not up to the standard of FHA guidelines, the appraiser will request that these repairs need to be completed in order for the loan to close. When that happens the sellers must fix the repairs. Once the repairs are fixed – the FHA appraiser must go back out and verify that all repairs are completed. This will cost the buyer an additional $125 for a recheck. When the buyer and seller have agreed to repairs the buyers real estate agent must confirm that they have been completed. When the repairs are completed you will complete a final walk through. The final walk through is to check that all repairs are made and that the house is move-in ready or as close to it as possible. I always suggest that the buyer should have the inspector to recheck to make sure the repairs were completed. You do not have to but it is a good idea – it will cost about $100-$150 for the inspector to complete a check on all repairs. After that you go to closing and move into your new home.